Sesame: Wat ju trippin' sista? Sesame: oh, wich one is dat? Dey all look da same from behind. Sesame: littlest one.... red eyes.... She ain't da squealer then. Sesame: I hear ya sista, been risking ma life trying to give ju another Ketchup, Relish, Musta! How else ju think I ended up in da TOILET??? Ok, I think I need to think of a plan to get Sesame back together with Meatball!!!! Sesame said he's gonna give me another Ketchup, and then Muster and Relish toooooo!! Isn't that EXCITING??? Now I just need to find a way to do it without letting mum find out. Any thoughts? Maybe I'll talk to D-Guy, I bet he wants another Ketchup too! I'm so happy that you're happy once again, Sunshade! We can't bear to see you sad. Hug your piggie family for me. 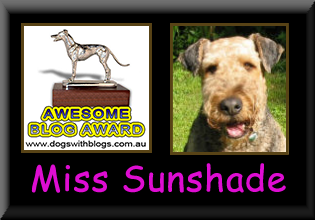 Sunshade that was lovely of Sesame to come and chat with you. What a lovely picture of you both. Why does Sesame have a rastafarian accent? We are glad to hear that Sunshade is ok, and we have to agree with Sesame that he needs to have a little 'get together' with Meatball soon **wink**.